Manchester United are reportedly worried about triggering a 12-month extension in David De Gea's contract because of concerns they could be forced to sell the goalkeeper as a consequence. Sean Kearns of Metro reported United would rather sign the Spain international to a new long-term contract. An extension would be viewed as "an acceptance of defeat" in their efforts to retain arguably the best goalkeeper in the world. De Gea's current contract expires at the end of the campaign, and the club reportedly believes triggering the extension would encourage interest from other clubs. Per Kearns, the Red Devils had been hopeful of agreeing fresh terms with their stopper recently, but United's form has reportedly caused the Spaniard to consider his options. Mourinho "not confident but also not worried" about De Gea signing a new deal. "If #MUFC want to be better than it is and not worse, obviously it would be very important to keep David." Again putting the spotlight on the board. "What matters is the team and all of us being focused on what we need to focus on, which is winning games, rather than contracts or any topics that can be a distraction. What matters is focusing on football. "I've been here for many seasons, as we've said. I've been at the club for eight seasons now. I'm very happy here. I always feel that warmth from the fans and everyone who works at the club." Mourinho has suffered a stressful campaign this term, but a 2-1 victory in the UEFA Champions League at Juventus has offered the manager hope. De Gea was once again important in the performance, and morale appears to be improving in the first-team squad. David McDonnell of the Mirror noted on Friday that Mourinho appears to have mended fragmented relationships with several key players, including Paul Pogba, Anthony Martial and Luke Shaw. Martial and Pogba have been at the centre of United's recent improvements, and Mourinho will hope his players can continue their turnaround in form on Sunday against rivals Manchester City. 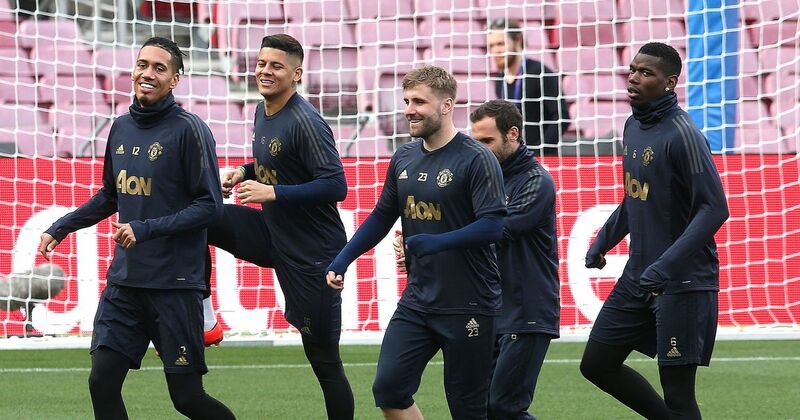 De Gea will have his work cut out against the Premier League champions, but United will take confidence from restricting Juve and Cristiano Ronaldo in a pulsating affair in Turin. Ultimately, United have little choice but to pay De Gea whatever he wants. Keeping the goalkeeper is central to their future success, and they simply do not have a better player than the Spain No. 1.